How Would You Like To Earn 75% Per Sale With Our Highest Converting Sales Video And Our Hottest Product Available Right Now? All It Takes Is Setting Up Your Affiliate Link, Use Our Proven Resources And Our Tested Methods To Promote Magnetic Messaging And Cash In A Big Check Every 2 Weeks! RECURRING Profits. You get 50% of monthly membership fees. This means for every single month they stay on the continuity you get PAID. Constantly INCREASING Conversions. Your conversions will keep soaring every month, due to our split-tests and multi-variate tests done by our top notch marketing experts… which means even MORE money for you! The bottom line is that this is the easiest and fastest way to make a boatload of cash without doing all the hard work of product creation. I’ve already tested this product out with my own list, and it sold better than any other program I’ve released in the past. Go ahead and sign up for the affiliate program now, and on the next page I will show you how to get started promoting this program in just a few minutes. 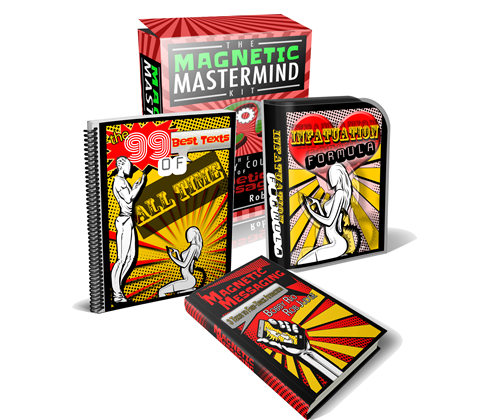 All you need to do is send your guys to the free money magnet videos I’ve created, and I’ll do all the selling for you.